When I moved to the Chicago metropolitan area in late 1995, my first stop was Northbook. I like to think that I fit into that area well, me being a high-end professional with an income that allowed me to live in a huge, empty apartment without the need of a flatmate. I was as cultured and snobbish then as the locals. I had given up my complete snooty New York City ways and become a laid back Midwest chap. A year into being a bit too relaxed, it was imperative that I moved closer to Chicago proper. The crickets during the summer were driving me cuckoo batty. 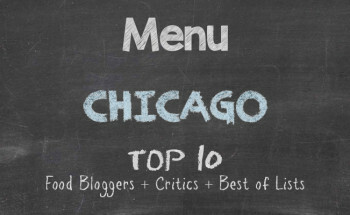 So, my landing spot became Chicago’s North Side in the hip neighbourhood of Rogers Park. It felt a little like Berkeley, California, with a lot of Mexican influence. Bim, bom, bim. The neighbourhood was chock full of taquerias and Mexican holes-in-the-wall. Trust me when I say that for the three years of me living in Rogers Park, I never tired of Mexican authenticity to my food. And after I had gotten accustomed to what turns of phrases could get me into trouble because Spanish spoken in the Caribbean has a lot more “colour” to phrases than what you get in Mexican Spanish, I was getting extra goodies in my take-out bags. Extras in the bags were always a good thing, unless you were a prude, a Dudley Do-Right, a total spazz. Well, fast forward to 2013 and I find that some other ethnic representation has dotted the Rogers Park landscape. They now have Iraqi, Iranian, and Eritrean restaurants a few blocks away from where I used to live. You waited until I moved to do this, Rogers Park. How could you? I met with a fellow colleague for dinner, after having been to Rogers Park to sample some Iranian food the previous week. We saw an Eritrean restaurant named Den Den Restaurant at 6635 N. Clark Street while on the way to the Iraqi restaurant and both yanked out our smartphones simultaneously to block a date for a visit. In the Edgewater neighbourhood, there are several Ethiopian restaurants, but Eritrean was new to me and definitely something I felt was worthy for Chicago Alphabet Soup. Friday came around. We both had left work at a reasonable time. And the plan for some love on a platter was on the agenda. Because the weather was not all that good, with constant, sudden downpours, we chose not to imbibe any of the honey mead. Trying to drive in Chicago is already a frustrating task. Driving with slightly impaired reflexes from having drunk a graft of tej was not an option for us. 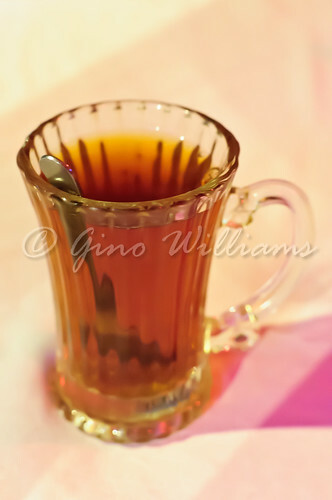 Instead, we had traditional spiced tea — accented nicely with cinnamon and cloves. Mmmm. Not trying to see if we could fill our bellies endlessly, we went for entrée options rather than starting with appetizers and later regretting not having left enough room for finishing everything in front of us. Because I didn’t get a take-away menu or lift one of the menus we ordered from, I am relaying everything from memory. The meal was primarily vegetarian. There were chopped greens that had a hint of garlic and ginger to them. Happiness. The cabbage with carrots and the melange of potatoes, string beans, and rutabaga didn’t last very long atop the ingera. Bliss. The creamed lentils and the flour chickpeas were so blooming delicious that they were so wrong at the same time. Rapture. And the chicken mixed with red peppers, onions, and jalapeño had us humming — when we weren’t silent. Petite mort. Being addicted to tomatoes, I won’t even get into how I attacked the complimentary salad. With fingers only and ingera, we reached, grabbed, and stuffed into our mouths so much flavour and bloom with assembly line precision. The fact that there were intermittent intervals of silence and humming was all the indication anyone needed to know that Den Den was several notches past outstanding. Many people think of Ethiopian and Eritrean as the same. However, Eritrea is a country in Northeast Africa completely separate from Ethiopia. There are similarities in the people and in the cuisine. One may even find the beliefs and customs to be similar, considering they share a common border and there is a strong possibility for some cross-pollination to occur. What I had found certainly common among Den Den Restaurant and Ethiopian restaurants in Chicago like Addis Ababa, Ethiopian Diamond, Ras Dashen, and Demera is definitely authenticity, a huge presence of those from the country dining in the establishments, and a welcoming spirit that is standard throughout the whole of Africa. The setting in Den Den Restaurant is very warm and ambient at night. For most who are not fans of ethnic dining, the service may seem a bit slow. That’s not the case. There is simply an acknowledgement that the enjoyment of flavours from the native land should never be rushed. For those who must have silverware, the traditional way of eating Eritrean food is with your fingers. 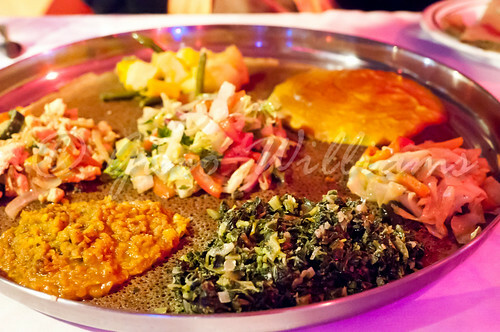 The best experiences in Ethiopian and Eritrean dining are in a communal setting with friends. Talk about a great way for community gatherings. And when you receive the tab, be forewarned that your eyes will widen with disbelief as you note how reasonable the prices are. Some say tomato. Some say tomahto. Some think Ethiopian. Try Den Den Restaurant and let’s talk Eritrean a little more.